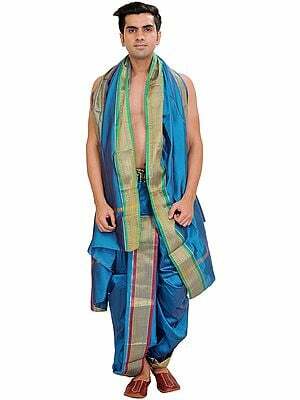 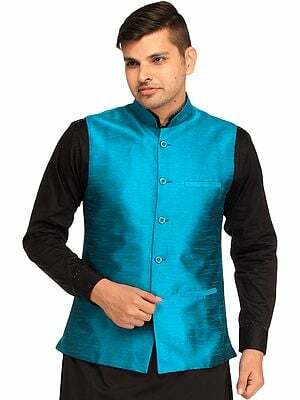 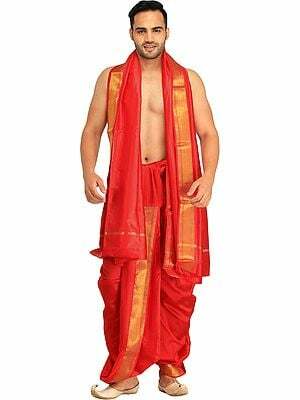 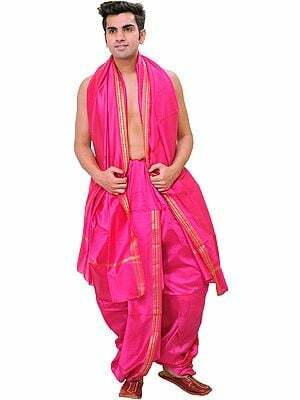 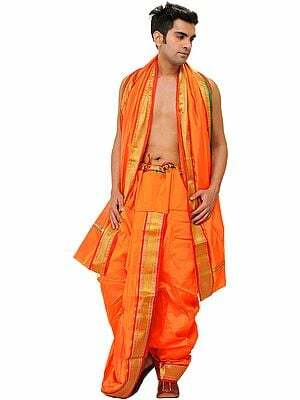 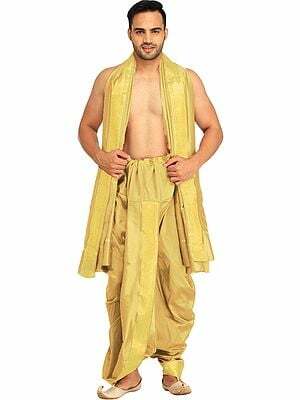 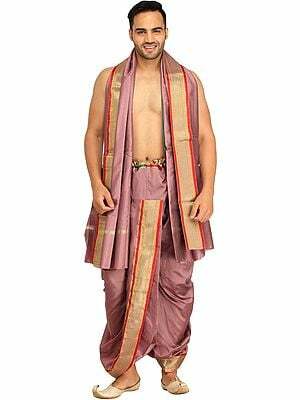 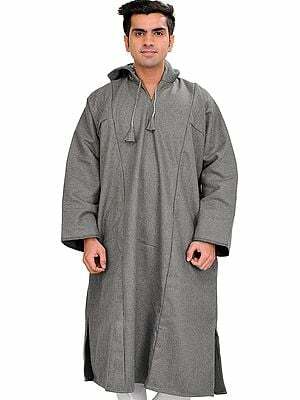 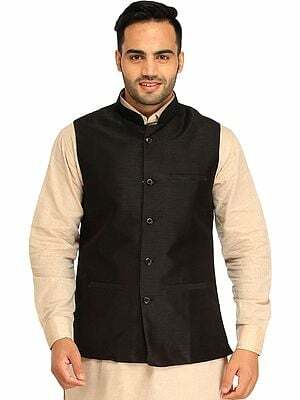 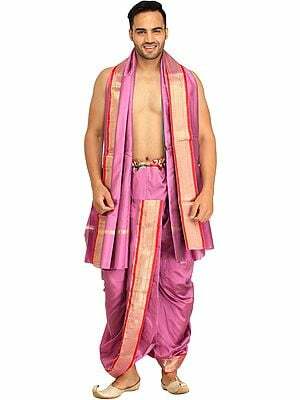 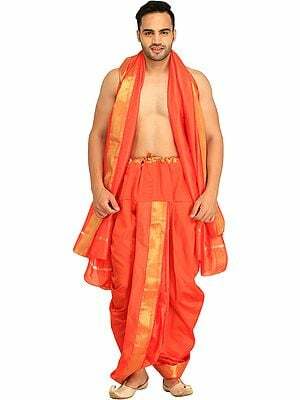 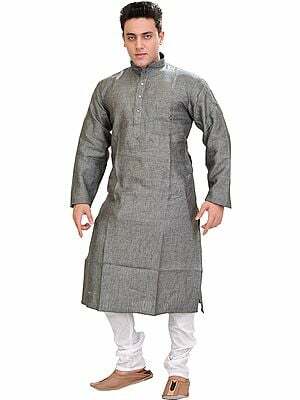 It is the male counterpart of the feminine SalwarKameez and the preferred mode of dressing for the Indian male. 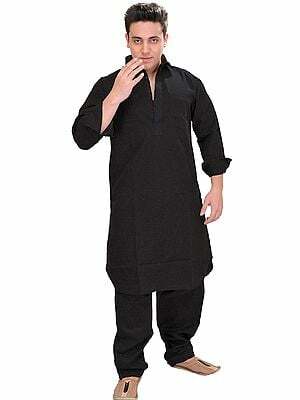 The reasons for this are not too far to seek. Highly comfortable and eminently suited to all climatic conditions, its use iswidespread throughout the Indian subcontinent. 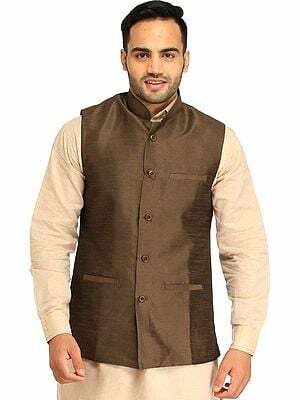 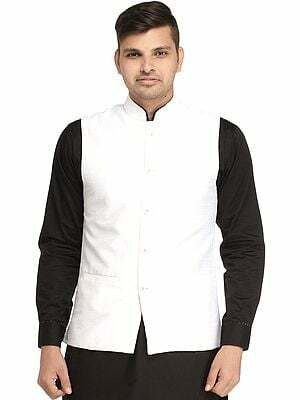 The sherwani (a long coat-like garment), is named after the Sherwani family, a large Muslim clan of mixed Arab and Pashtoon descent, now settled mainly around the Aligarh (UP) and Malerkotla (Punjab) areas in India. 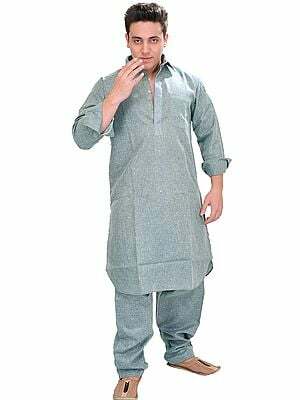 It is the national dress of Pakistan, one which is universally accepted there, not specifically belonging to any one of its many provinces. As a dress, the coat fits close to the body, and is fastened in the front with buttons, extending to slightly below knee-length. 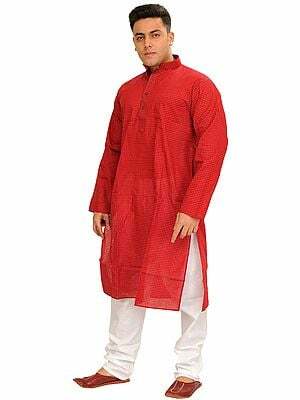 They are usually embroidered or detailed in some way and nearly all Pakistani grooms (and now many Indians too) wear them at their weddings. 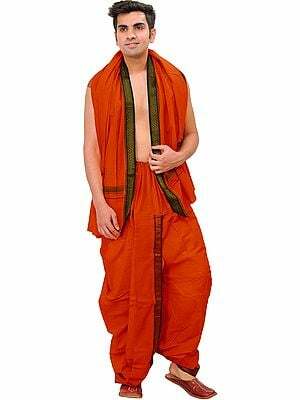 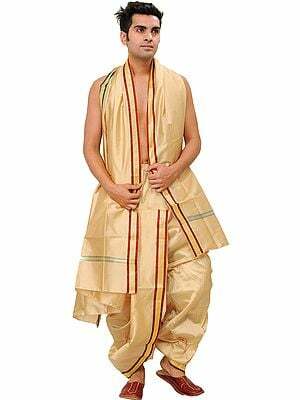 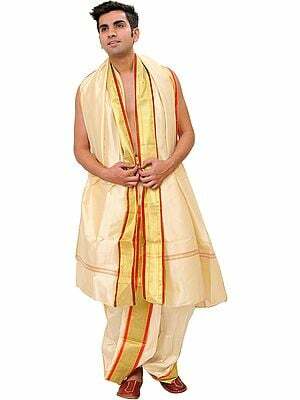 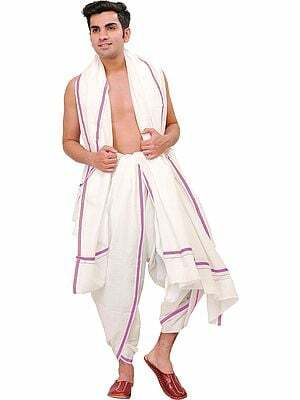 The dhoti is associated by many with Mahatma Gandhi, who invariably wore one on public occasions. 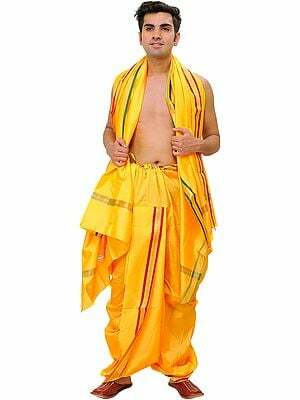 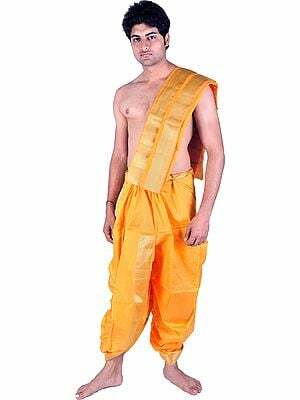 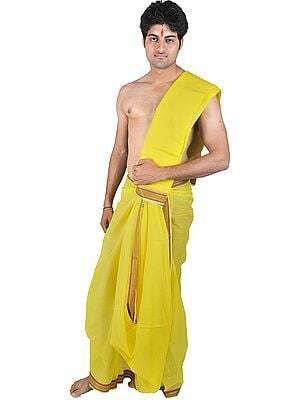 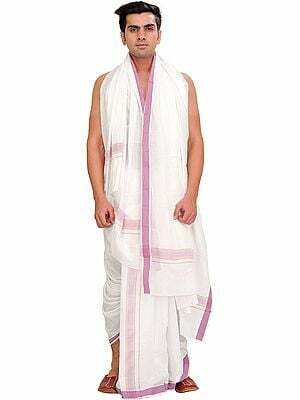 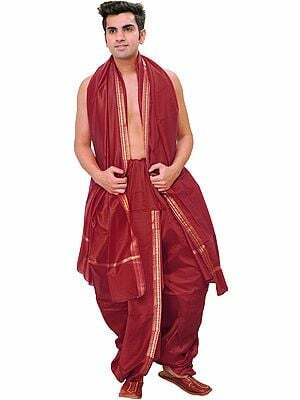 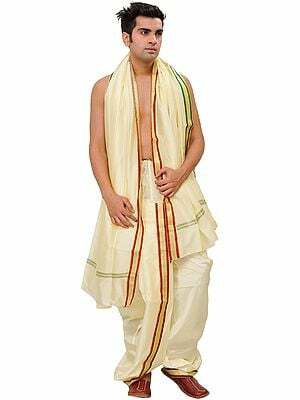 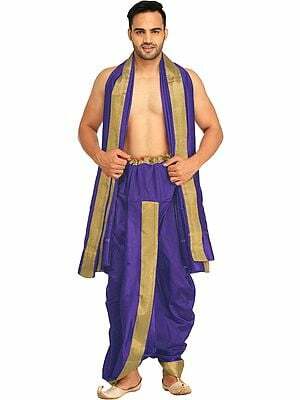 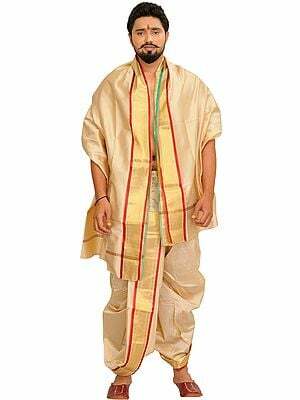 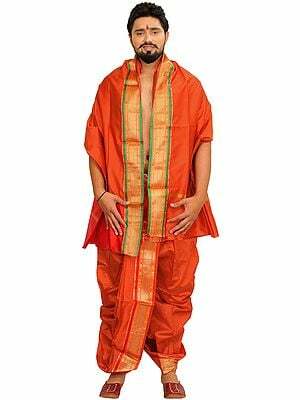 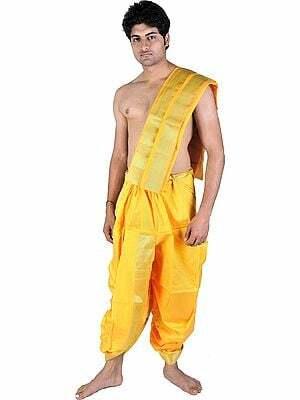 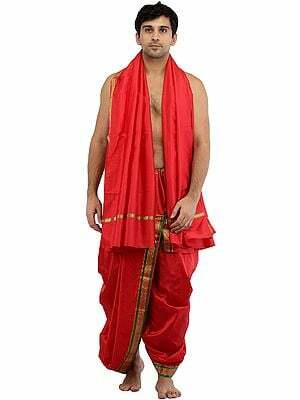 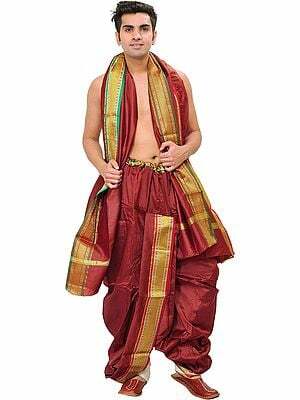 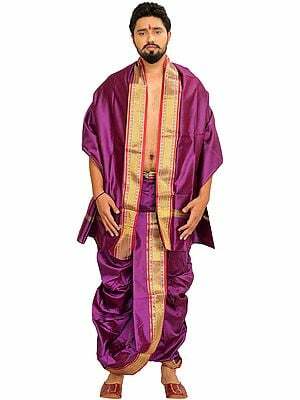 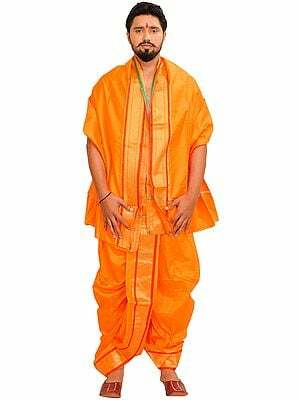 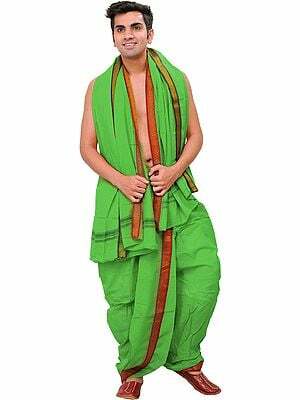 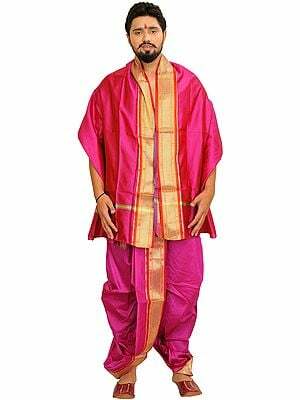 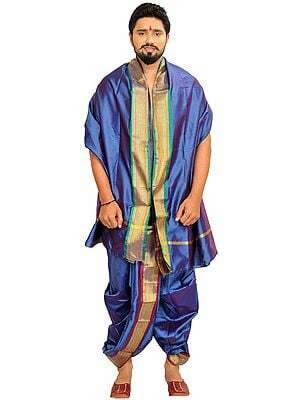 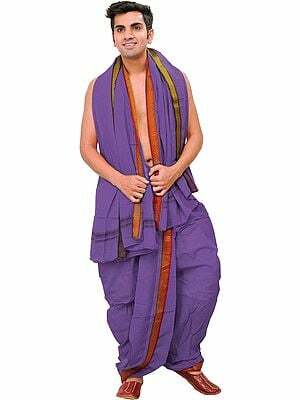 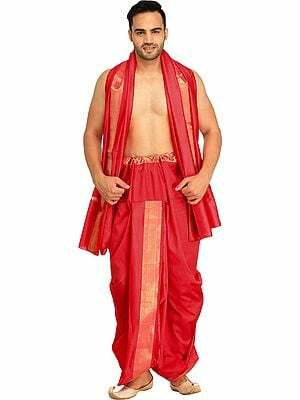 The dhoti is basically a rectangular piece of cloth, wrapped in a complex manner about the waist and legs and is usually white orcream in color, though black and darker hues are often used to create more vivid ensembles. 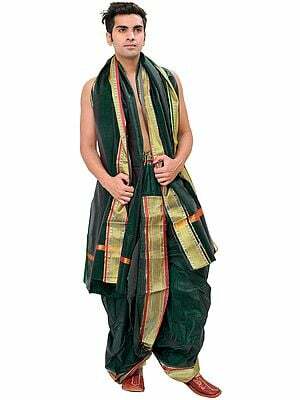 Celebrating India's diversity, there are indeed more than 60 different ways of wearing it. 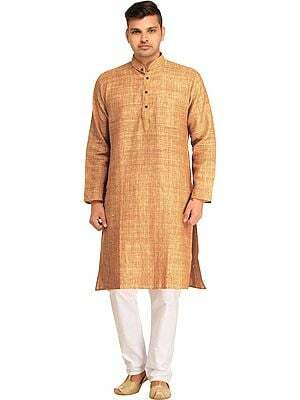 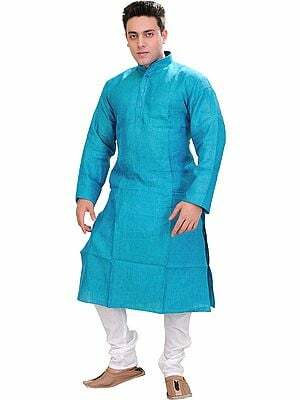 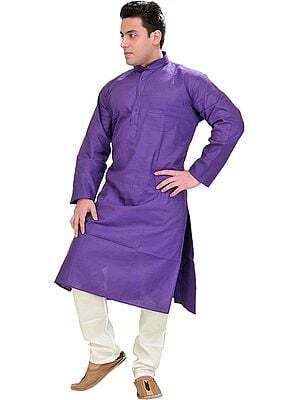 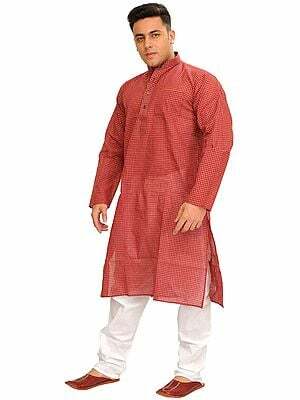 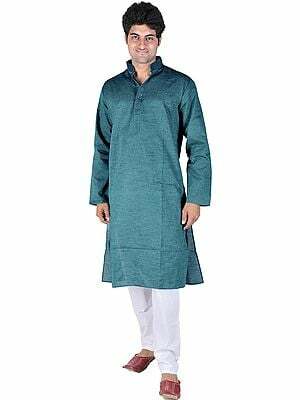 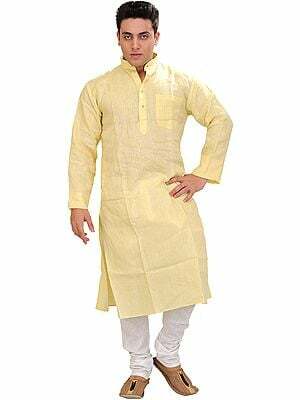 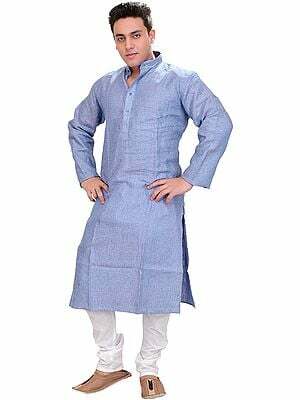 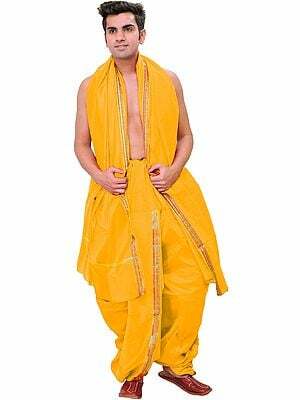 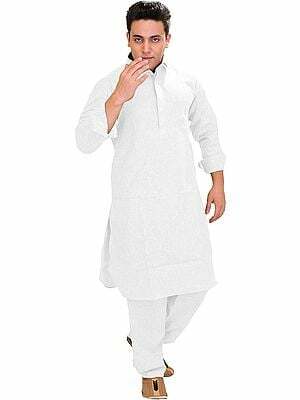 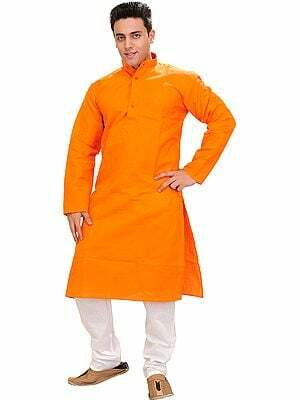 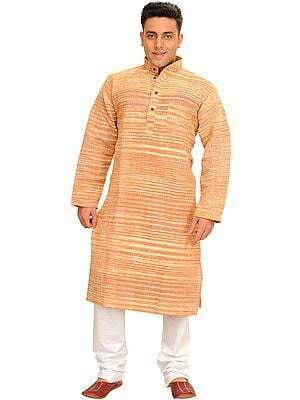 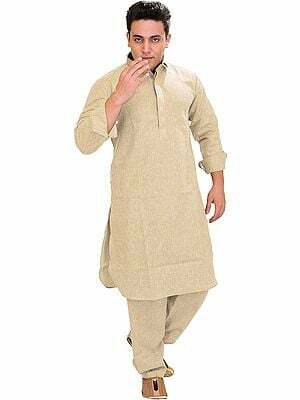 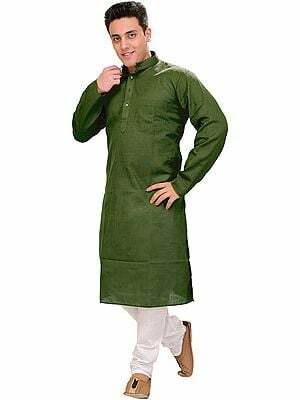 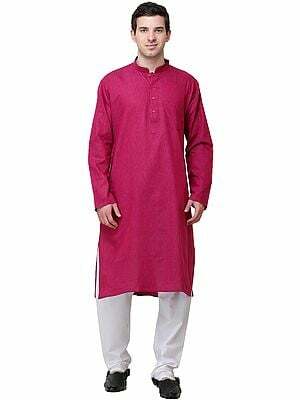 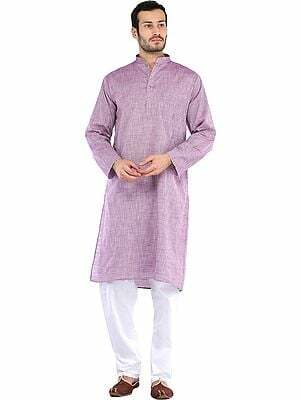 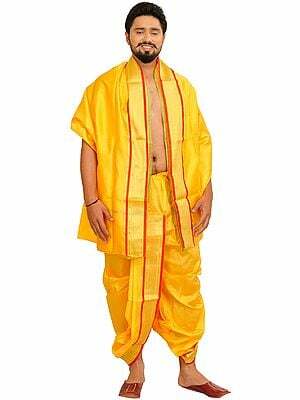 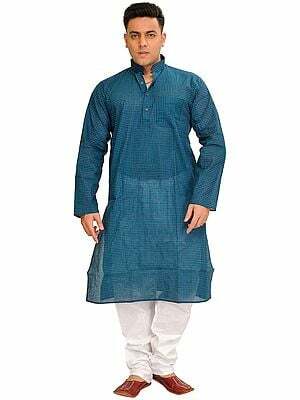 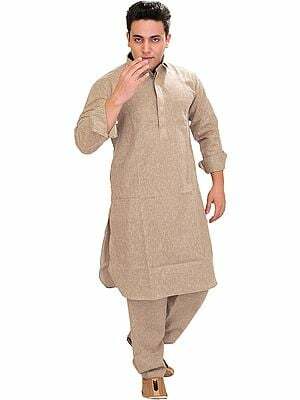 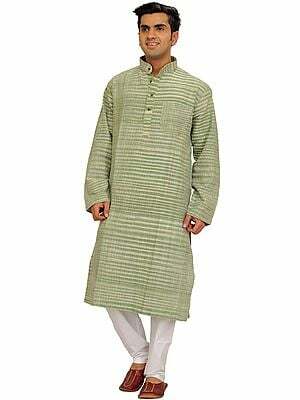 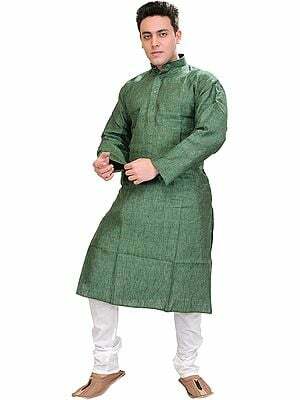 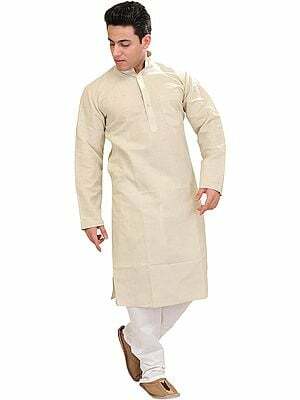 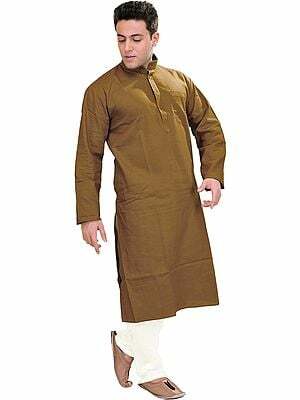 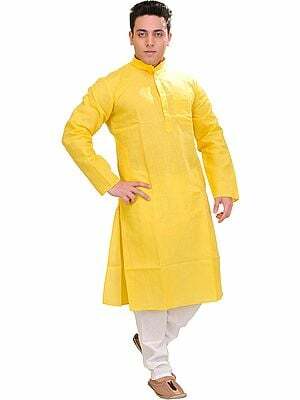 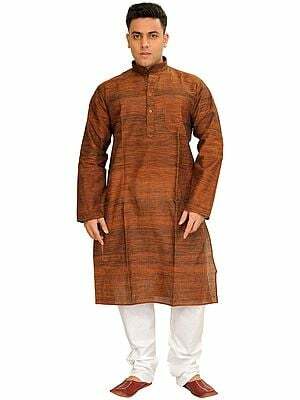 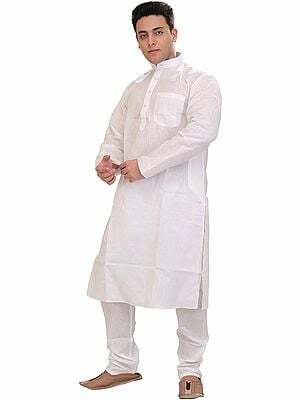 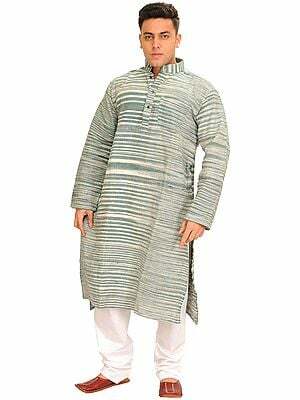 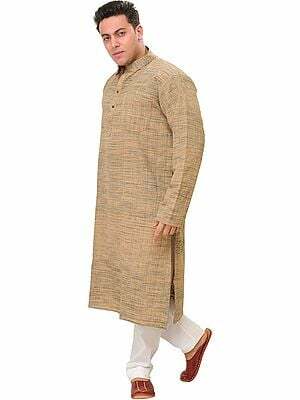 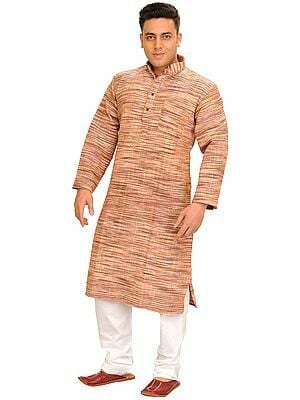 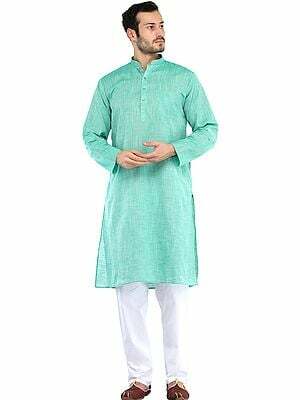 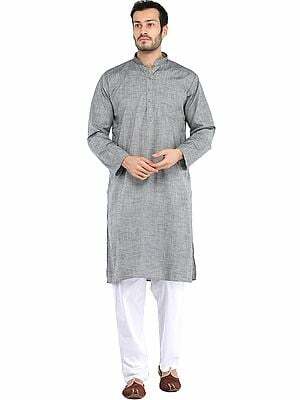 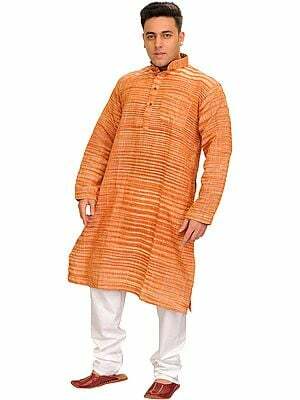 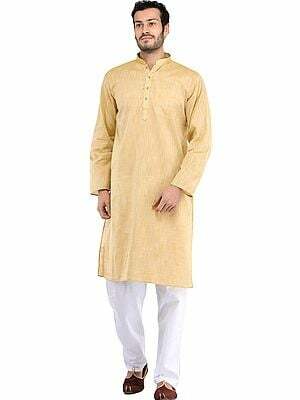 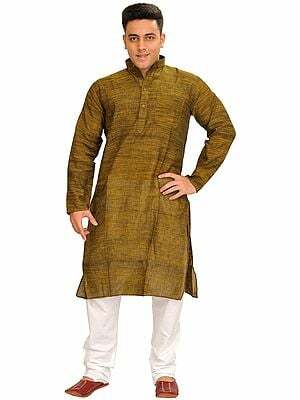 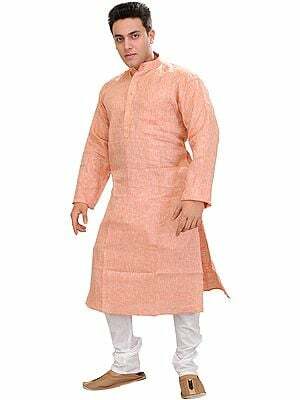 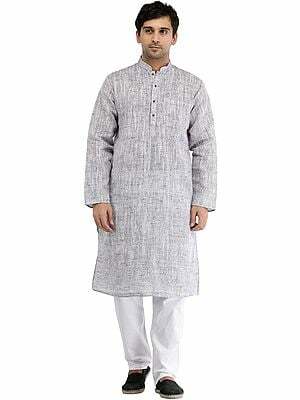 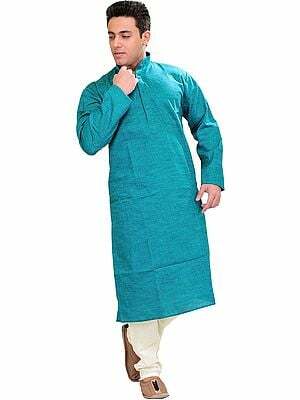 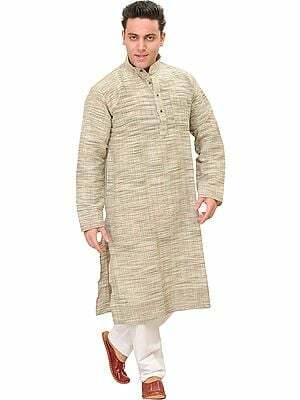 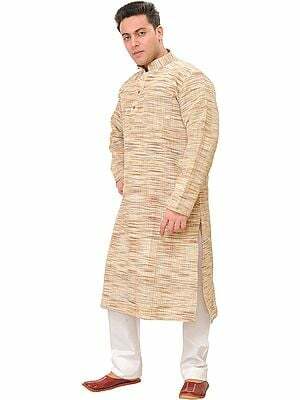 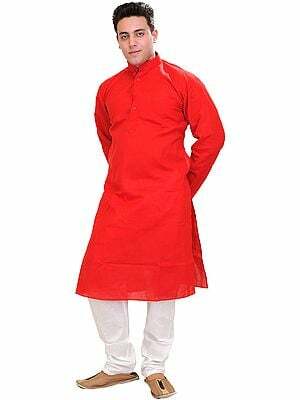 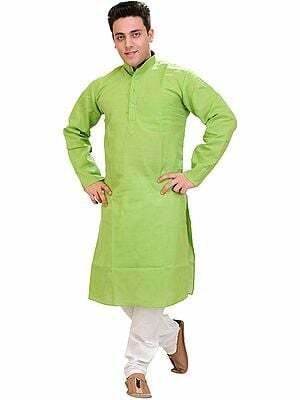 In North India for example, it is worn with a Kurta on top, the combination known simply as 'Dhoti Kurta'. 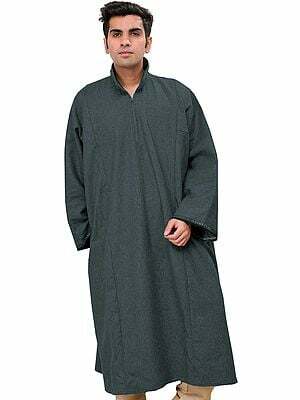 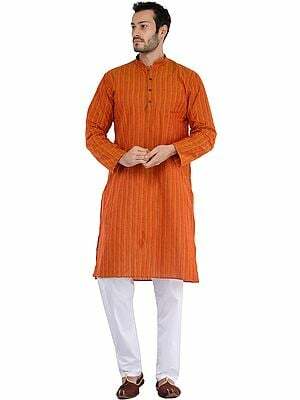 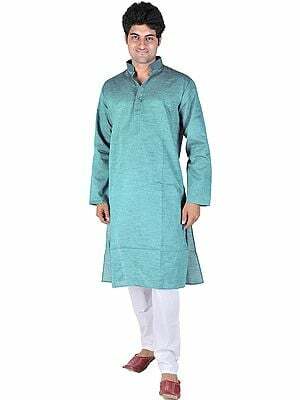 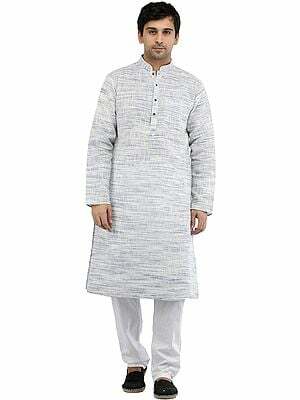 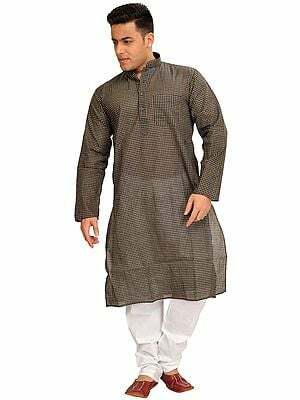 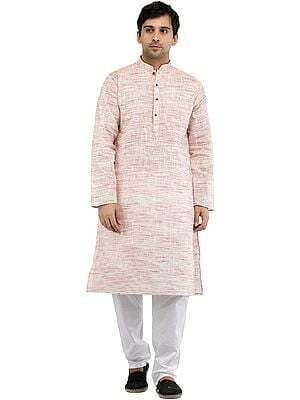 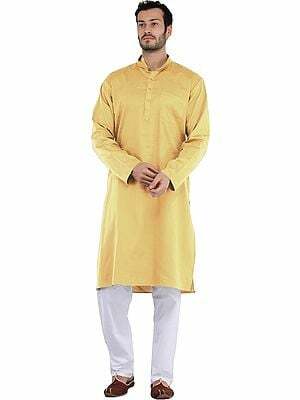 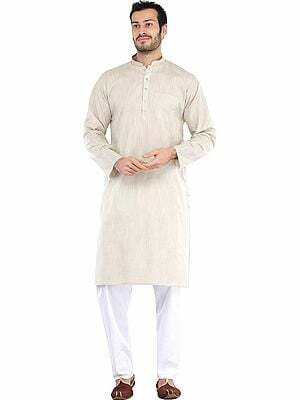 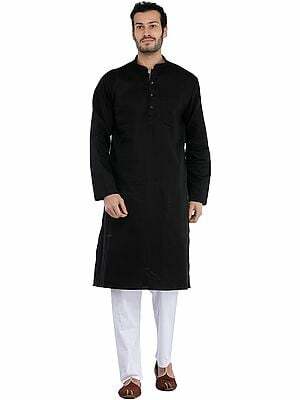 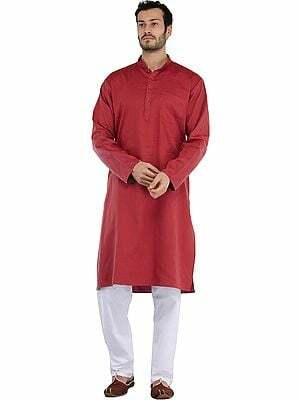 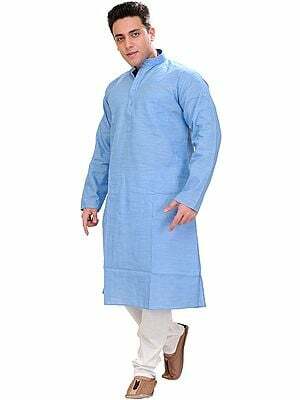 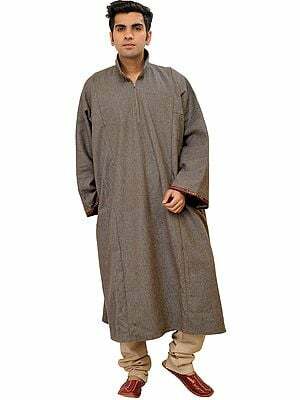 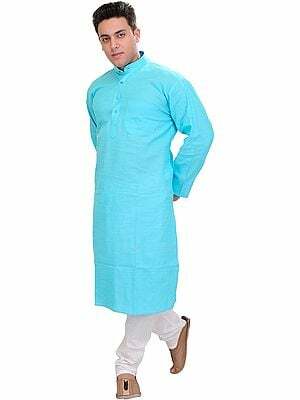 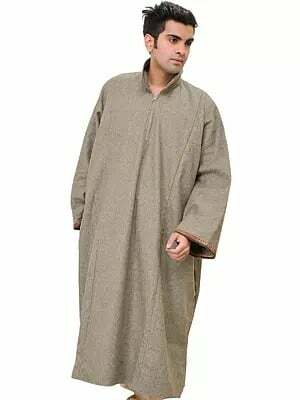 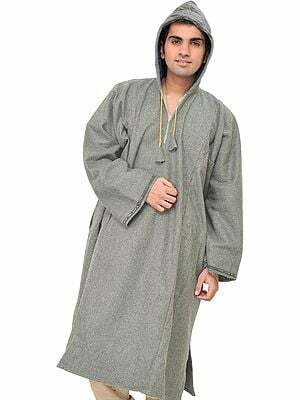 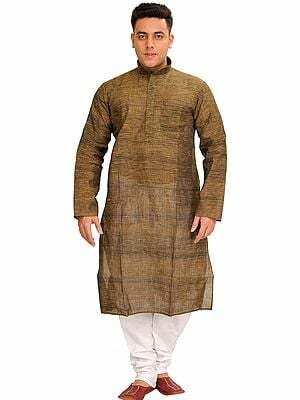 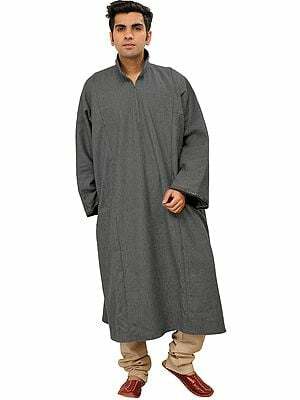 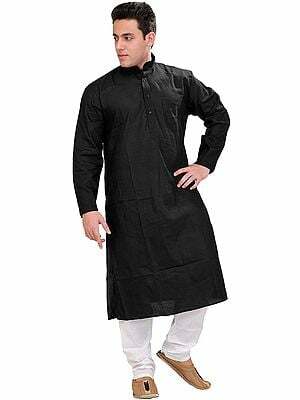 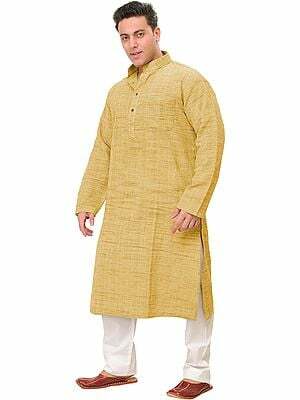 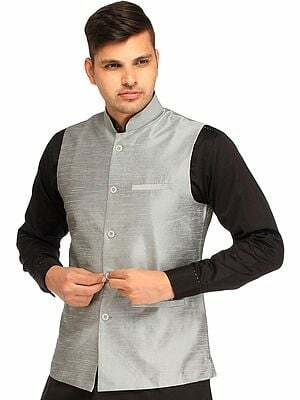 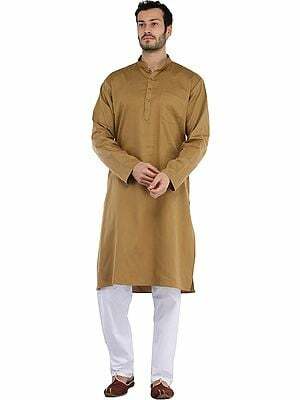 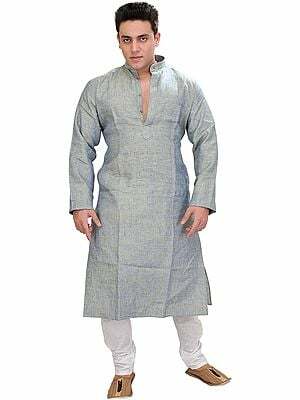 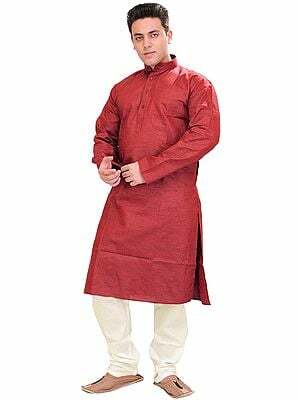 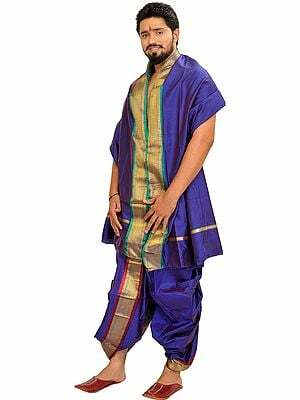 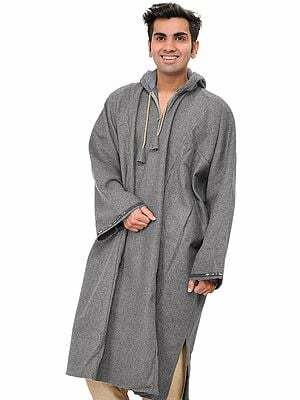 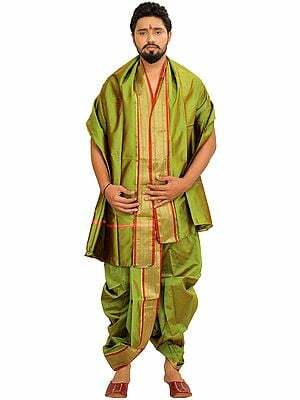 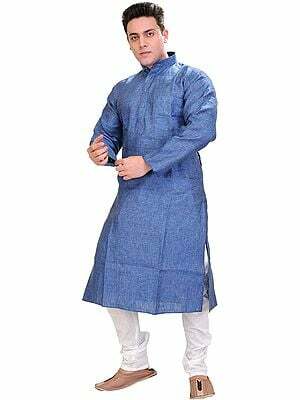 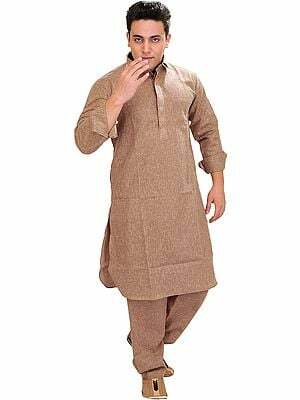 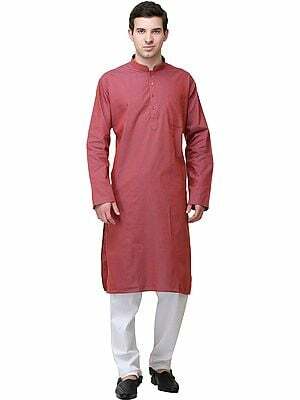 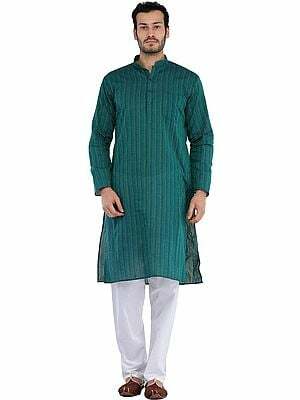 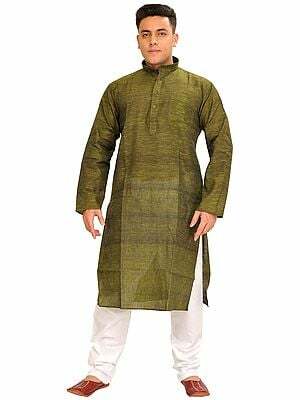 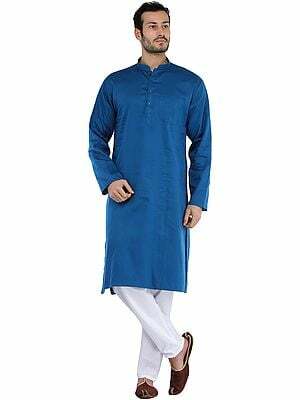 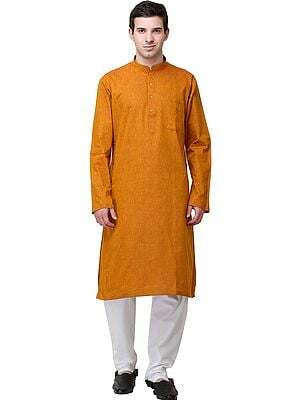 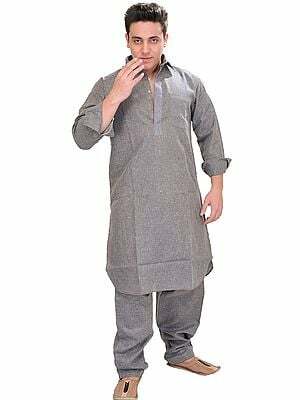 Closely related to the kurta pajama is the achkan, characterized by a longer tunic (kurta) and invariably choodidar pants. 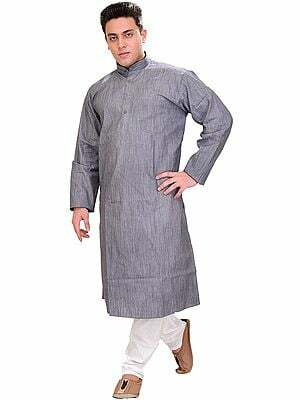 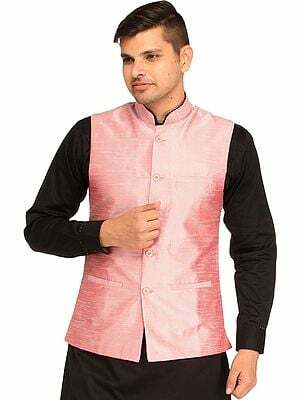 A Jodhpuri Suit is blend of Indian and western aesthetics. 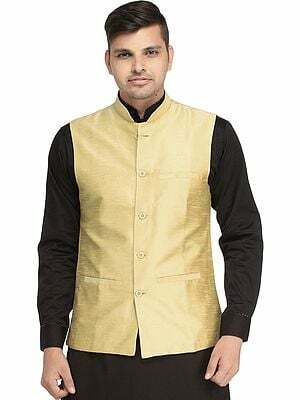 Also known as prince's ensemble, it is much like an English suit, with a coat and a trouser, at times accompanied by an inner jacket and suited for occasions like weddings and formal gatherings.